On April 26th BBC News reports on Google’s agreement to amend its maps of Rio de Janeiro after complaints by media conglomerate Globo. First, this is a very typical complaint made by Globo. In Brazil, the media – and particularly Globo – play a determining role in the dissemination of an exclusionary discourse framing favela life as inferior, dangerous, criminal, and in this case, irrelevant even to be on the map. Illustrative is the comment of a resident of the neighbourhood Humaitá (South Zone of the city) quoted: “The maps turn Rio into a favela. […] Anyone who doesn’t know the city would be frightened.” When I showed the article to a friend, a resident of Complexo do Alemão, he was shocked by the prejudging content. 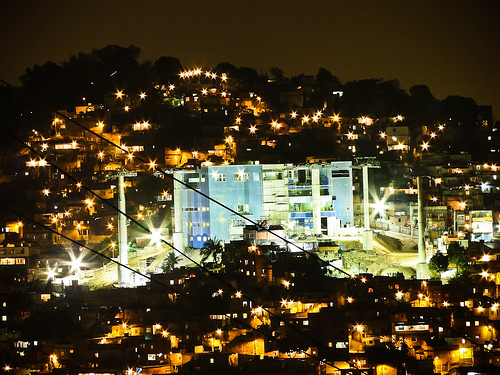 If favela life wouldn’t be framed in the way it has been – a frightening place – over the past decades, the problem wouldn’t be the prominence of those communities on the map. Moreover, the argument is a little overdone, as the favelas that have been mapped are very incomplete. What has been mapped are the main streets of the community, but the majority of the alleys and stairs in which the majority of the houses are located remain unmapped. Concluding, there’s still a lot to be mapped, particularly when looking at the favelas. At the same time, the article shows the concern of the people with tourism and the image of the city, fueled by events such as the World Cup and the Olympic Games that will take place in Rio in the next couple of years, attracting plenty of tourists. In the preparation of the city for those events, the favelas are a complex issue to deal with. 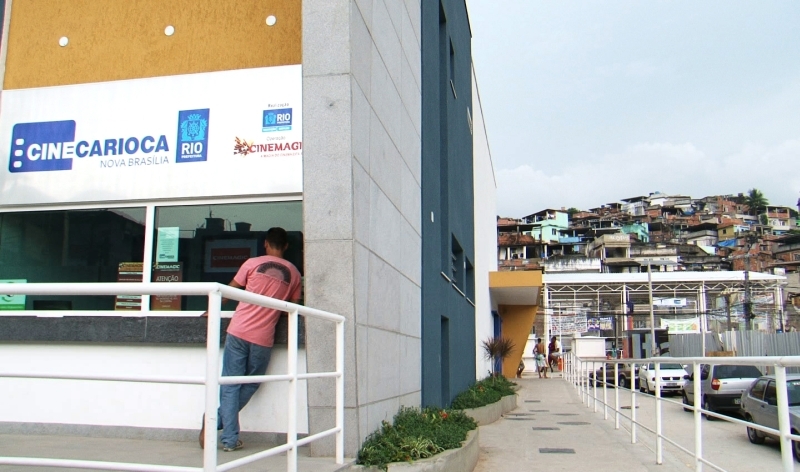 The large scale pacification projects by the state and federal government are implemented in a number of favelas that are located in the most touristy areas of the city in order to improve security in these areas. The pacification of these favelas leads to a love-hate relationship with these communities, as they become centre-stage and a true tourist hotspot, attracting many tourists and artists that want to take a look inside these communities. A couple of weeks ago I wrote about this phenomenon, which I called favela fever; emerging now that those “barbaric, violent and dangerous” areas are being “pacified”. Foreign as well as Brazilian tourists are curious to take a look inside these communities, which they only know from the news (Globo) and movies such as Cidade de Deus and Tropa de Elite. Whereas they used to be framed as inaccessible for the middle and upper classes – and tourists! The Dutch Ministry of Foreign Affairs seriously discourages tourists to enter favelas – today a new image is emerging. The situation in the pacified favelas is tranquilo. The myriad of opportunities these areas offer, in terms of new markets and for social projects, are recognized by companies, NGOs and artists settling in these neighbourhoods. The main question, now, is who is going to benefit from this favela fever. The residents of Complexo do Alemão, where I am currently conducting my research, are wary of these interests. At the one hand they could benefit their community, as tourists come and visit, spend money in their shops and restaurants and hire local guides to show them around. Also, it could lead to some interesting cultural exchanges, through which local residents and people from outside of the community can exchange experiences and learn from each other. Their main fear, however, are competing actors from outside, which basically ignore the community’s potential to establish local tourism and instead will exploit the area for their own benefit. Unfortunately, the latter often already have a better infrastructure, a lot of contacts, links with the media, and thus are much more likely in succeeding than the local initiatives. As such, new potentials such as tourism fail to break with the logic of the exclusionary discourse, maintaining the sharp boundaries dividing favela life and “civilized life”, and to a certain extent, “incapable people” and “capable people” to set up such projects. For instance, there’s one NGO that is currently organizing trips for (Brazilian) tourists, showing the cable car, recently constructed squares, banks, etc. I joined a conversation in which a lady of the NGO consulted my friend who lives in Complexo do Alemão, about how to get permission from the army, and about how to organize this event in the community. When my friend asked her how this would benefit the community, she responded that the NGO could eventually, when they would have generated some money from the tours, they could be training community residents as guides. What the lady didn’t (want to) realize is that among the many residents of the community there surely are plenty of people that would be better guides than any professional, not needing any training at all. People who know best how the community can benefit from tourism, people who know the most beautiful, awful and interesting stories about their community, people who know about the local reality. Rio is a divided city, but physical boundaries are dissolving as the state, the market and the third sector increasingly enter these areas. Mapping the city reflects this complexity, and the fight over those divided territories. But what about the ideological boundaries? Discrimination, prejudices? When mapping the favela what will be mapped? And who will decide that? What would Globo say to Google when the favelas become actual tourist attractions, creating a positive image of the city? Google streetview, for instance, could easily show the world the projects such as the immense cable car and its prominent stations, the plenty of neat squares, the ATMs, banks, and the outdoor gym, and the cinema that are built in Complexo do Alemão. For now, however, Globo rather than Google is taking account for the promotion of these projects. I don’t know what is right, because in any case – Google maps/streetview, Globo or tourism – there’s a very complex society hidden behind these construction works. In a very simplified version, that complexity is mirrored by the idea that favelas don’t deserve too much space on the map.